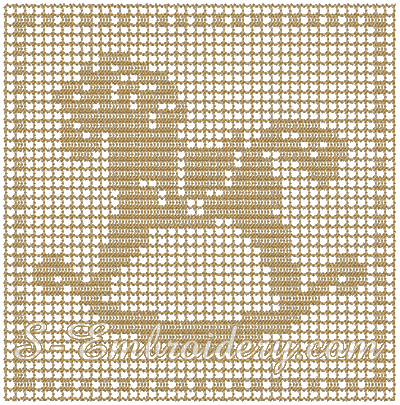 A free standing lace horse crochet square embroidery design. The crochet square can be used in different machine embrouidery projects, e.g. 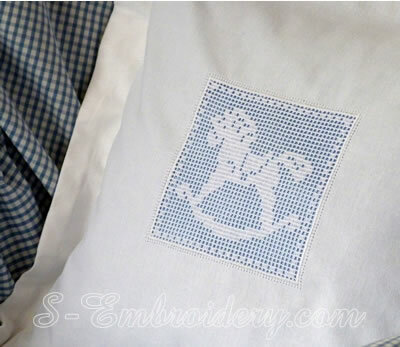 as a decoration for a pillow case, table cloth, etc. 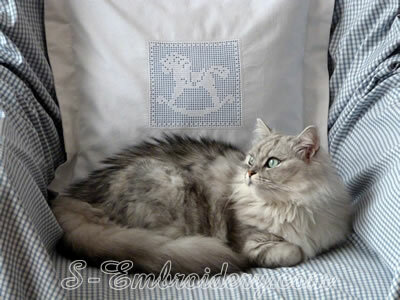 The design can be stitched out in 5x7 (130x180) or larger hoops. You receive 1 machine embroidery file in one of the supported formats as well as design information and instructions in PDF format.